In Ondo State of Nigeria, a suspected kidnapper slept off in the victim's compound as a result of the high dose of tramadol he took during the operation. 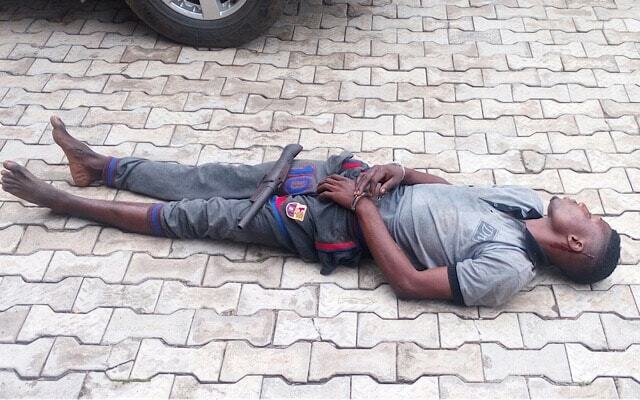 He was arrested while sleeping and even remained sleeping while the police paraded him. The state Police Public Relations Officer, Mr Femi Joseph, explained that the suspect and his gang members had invaded a pharmacy in Owo (Ibadan) to kidnap the owner. Joseph said the three-man gang stormed the store with a gun, but the victim raised alarm and escaped through the back door. Tramadol and codeine addiction has remained a major issue in Nigeria, with a reported estimate of 35 million people being affected.